Last month after running out of my daily moisturizer, I thought it was time to go ahead and try out a new one. I had seen the IT Cosmetics Moisturizer just weeks before and decided to go ahead and give it a shot. 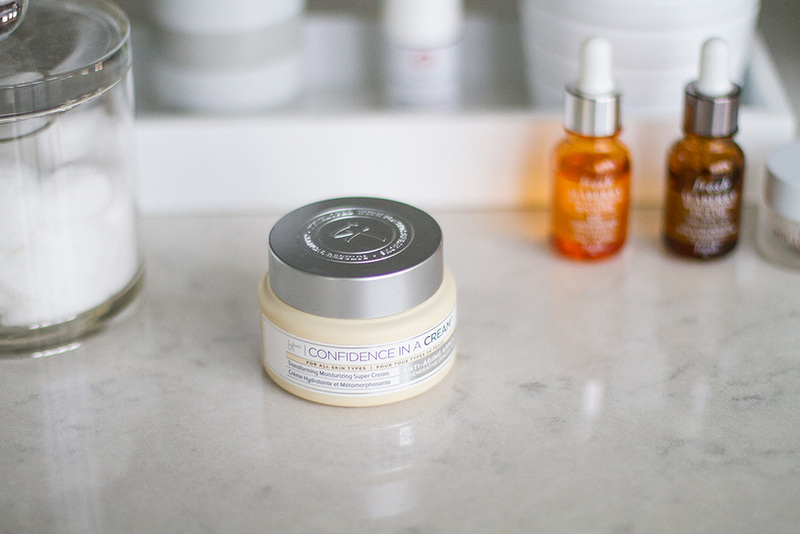 I’m a huge fan of their CC+ Cream which I wear as my daily foundation as well as some of their other makeup products… So it was a no-brainer when it came to deciding if I should try it or not. The reason I wanted to change up my moisturizer was because I felt like my previous one just wasn’t giving me the hydration I needed. I had patchy dry areas and if I ever skipped a morning or night application… It was not good. So let me just start by saying, I am so glad I tried this! My skin hasn’t felt this soft and moisturized in so long. It has a pretty thick consistency but it really soaks into the skin nicely. 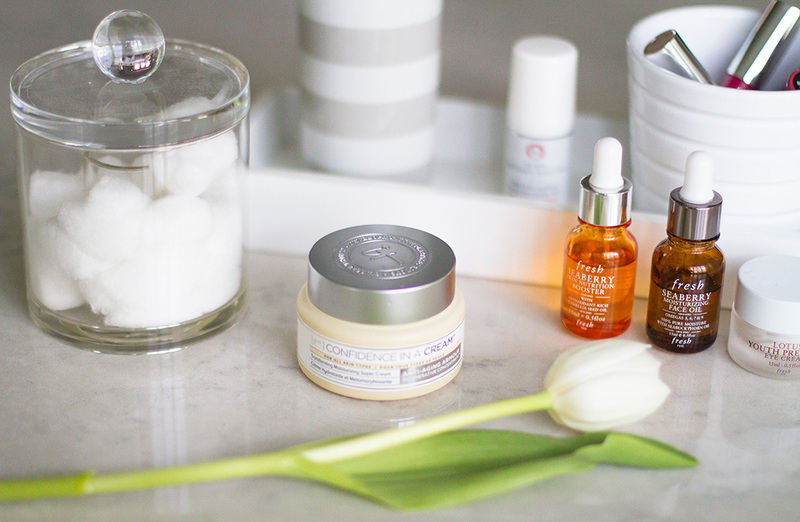 It doesn’t leave an oily or greasy finish to the skin, just a healthy and refreshed look. I wear this underneath my makeup and have no problems with it being too thick. It actually helps my makeup set better since my skin isn’t so dry. Aside from the soft and hydrated feel to my skin, I’ve also noticed the pores on my cheeks right around my nose area appear to be just a tad smaller. One possible downside for some may be the smell. To me it had the smell of a moscow mule, which didn’t bother me much. Also once you apply it on your skin the smell completely goes away. Like I said my skin is more on the dry side, so if your skin is normal you could try applying it only once a day. Start by applying it just at night and see how it goes from there! 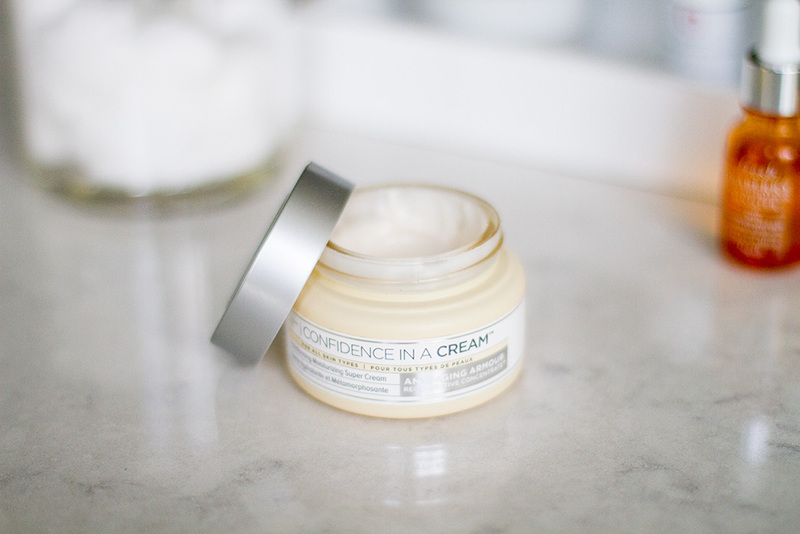 If your skin is dry like mine I definitely recommend the, Confidence in a Cream moisturizer!